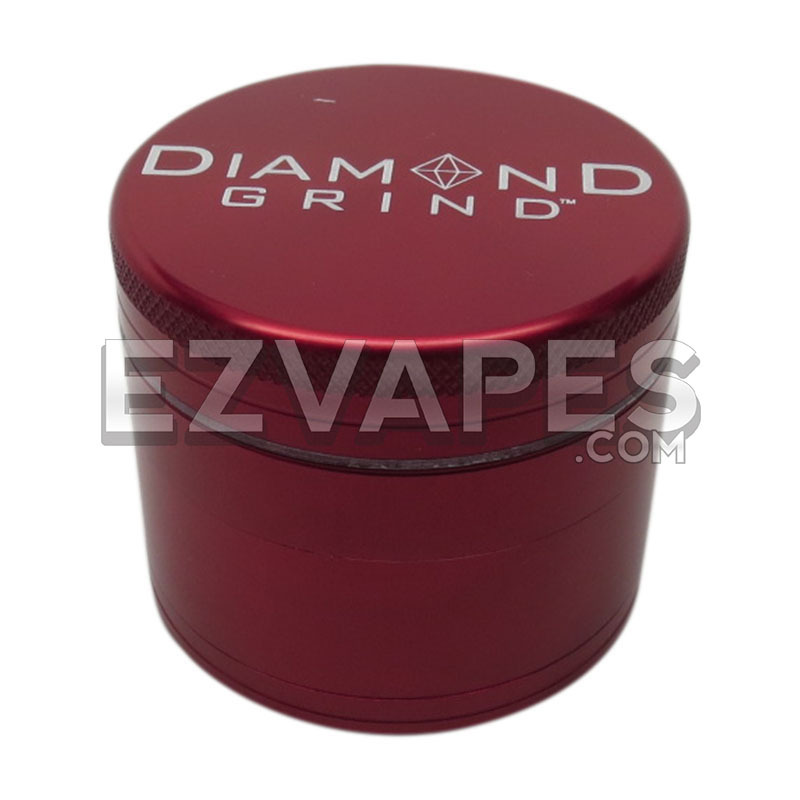 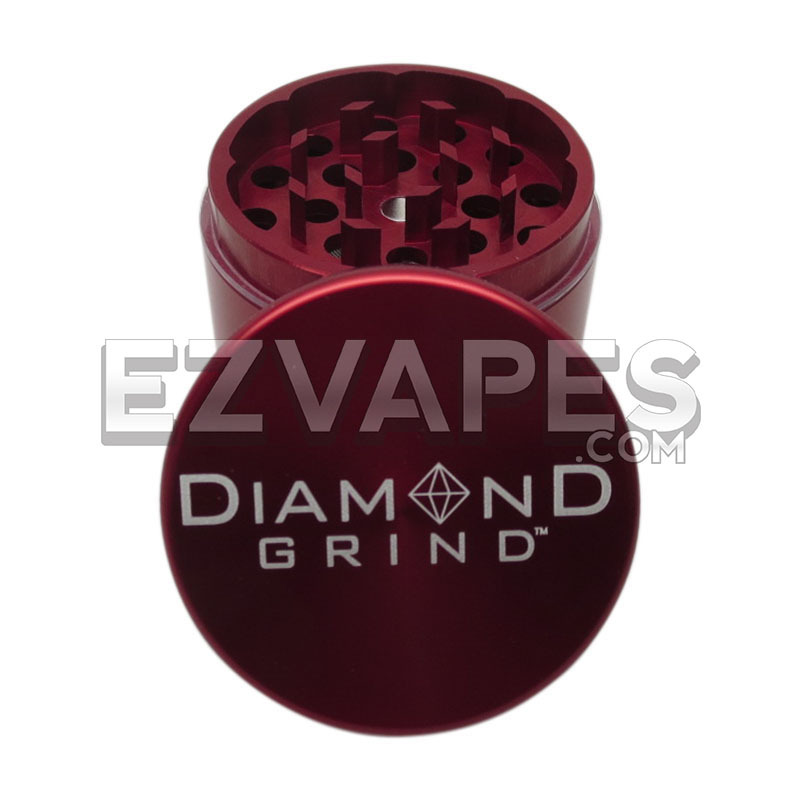 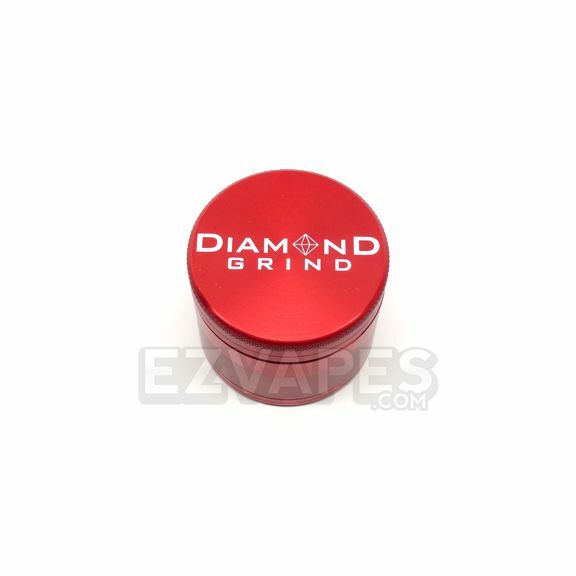 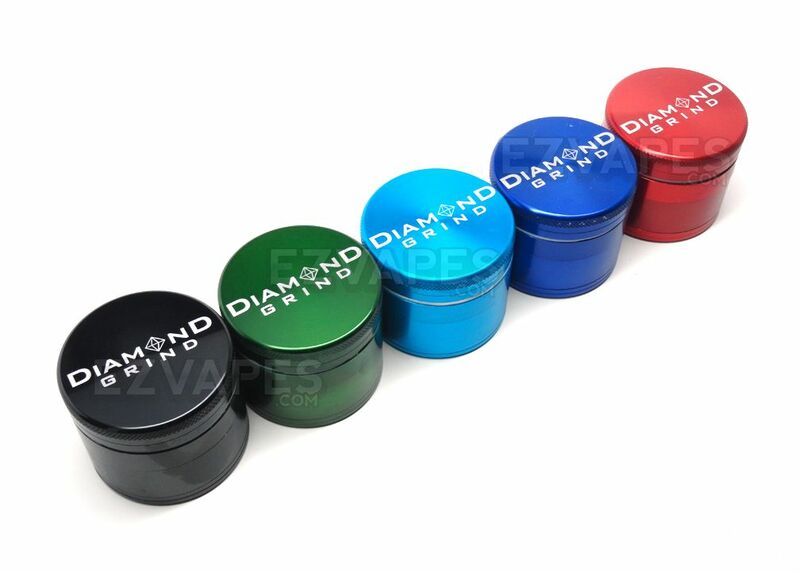 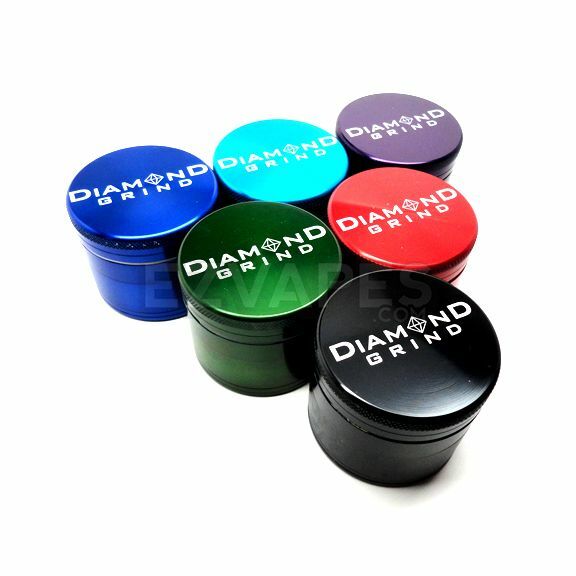 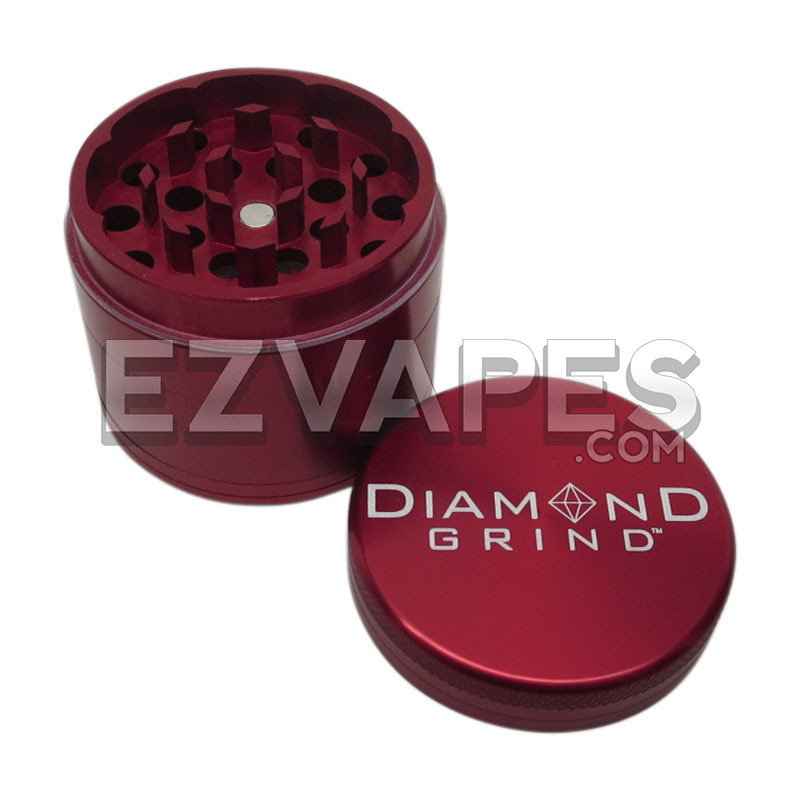 The Diamond Grind Aluminum Colored grinder is a must have for those that are big on customization. 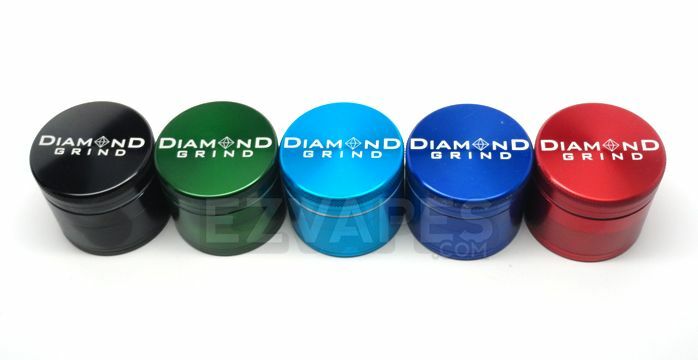 Who says your grinder has to be the same old boring chrome finish? 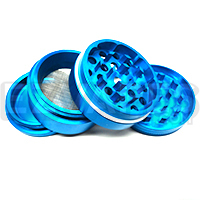 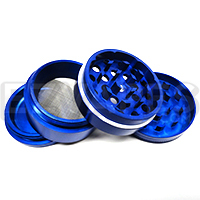 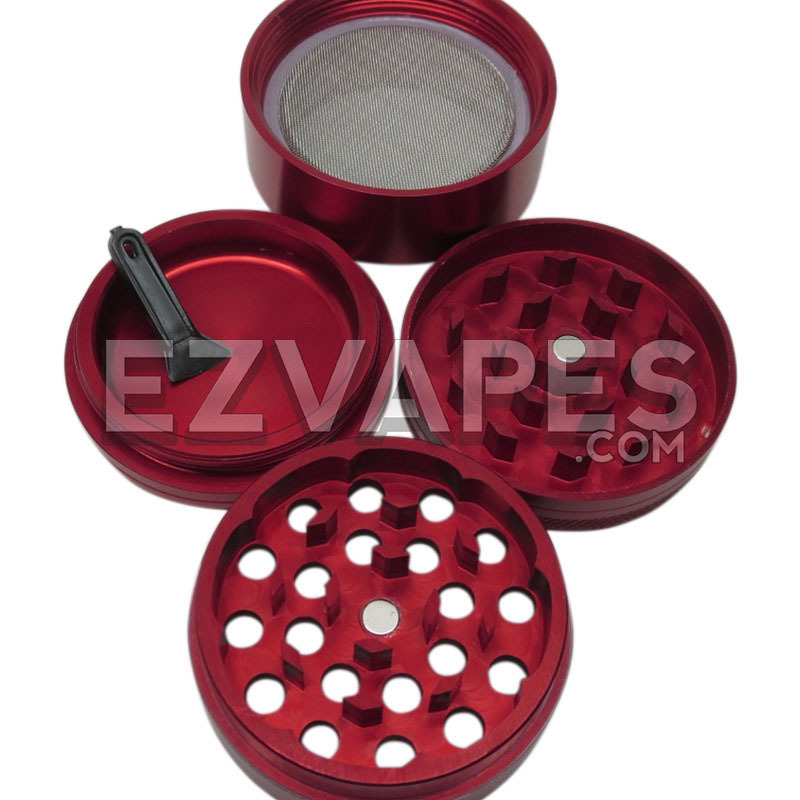 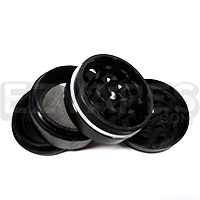 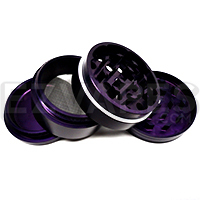 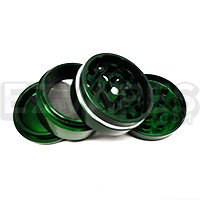 These grinders come in a variety of colors and are made of anodized aluminum. 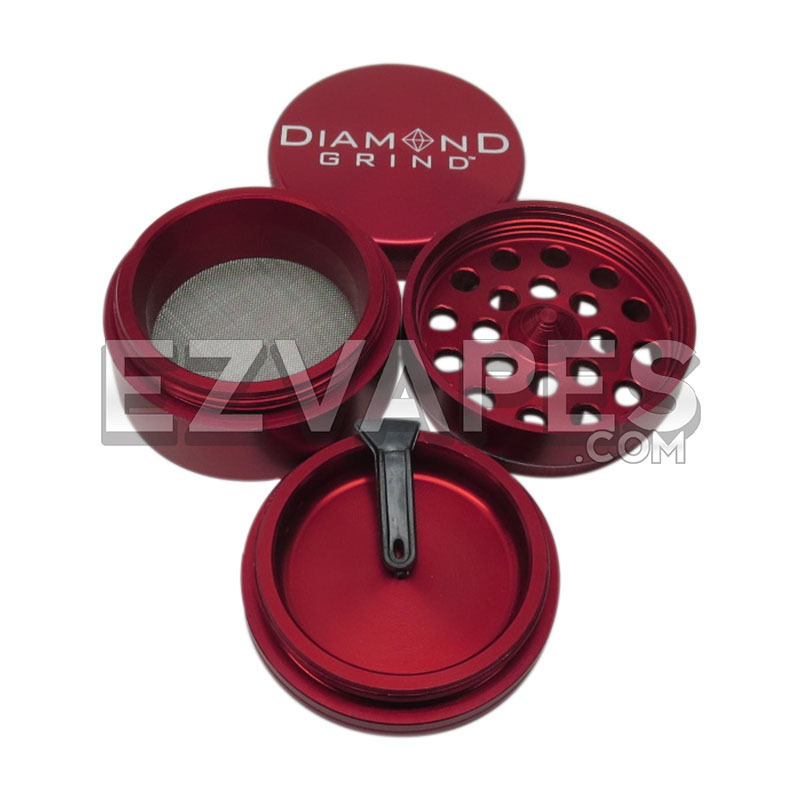 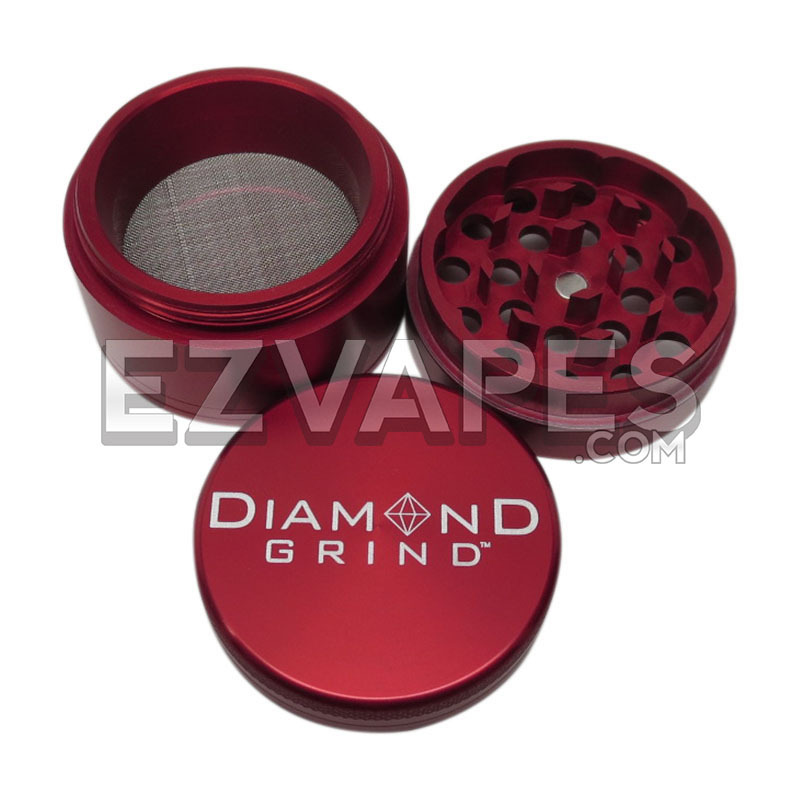 This Diamond Grind 4 piece aluminum grinder has a bottom storage compartment and a stainless steel sifting screen that even doubles as an additional storage compartment. 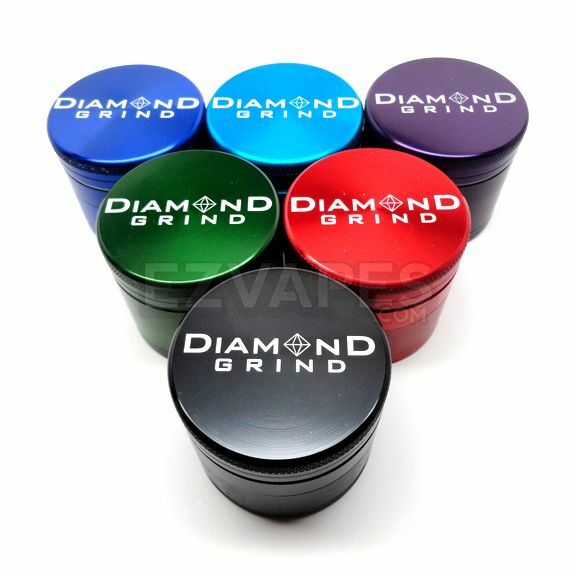 The anodized aluminum fights against any wear and tear your grinder might go through over the years and won't let the teeth on the grinder go dull. 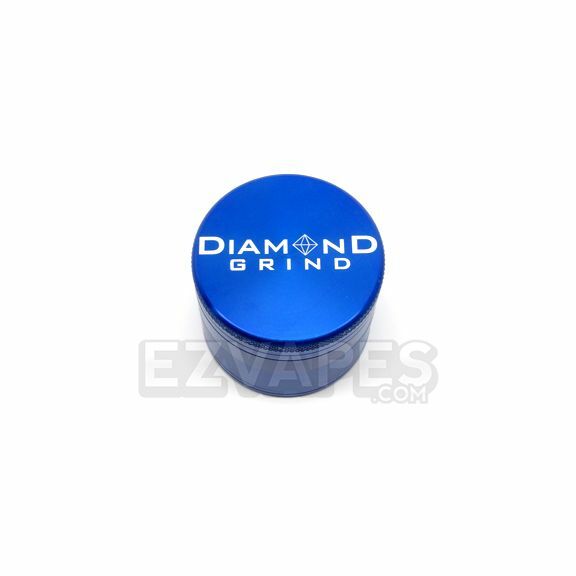 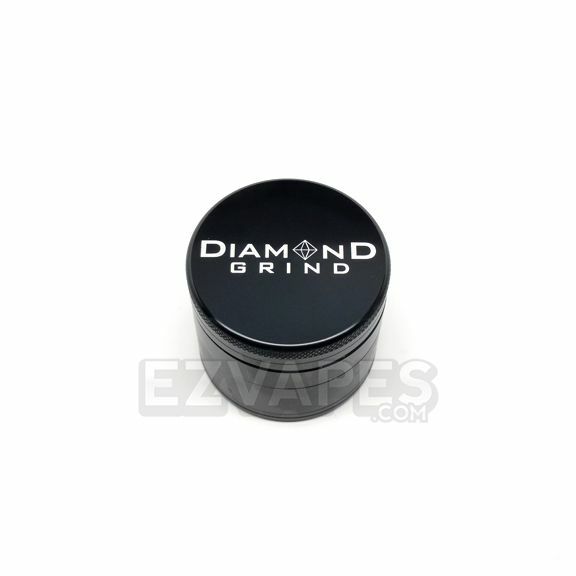 Diamond Grind grinders also come with a centered magnet that will assist in keeping the grinder sealed, making your grinder double as storage. 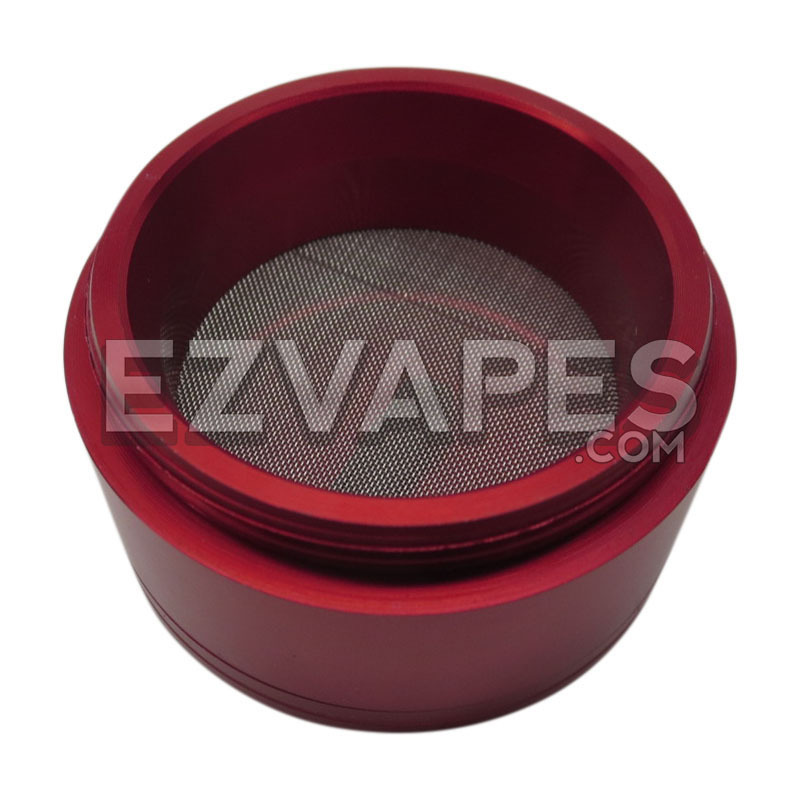 Measuring in at 50mm (about 2") it is the perfect size for anyone.